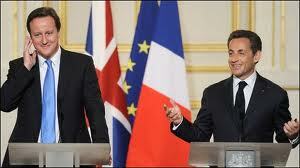 Crisis talks between Britain and France were held in Paris on Friday, ahead of a Eurozone summit next week. David Cameron met French president Nicolas Sarkozy for lunch, with the British prime minister hoping not to hand over any power to the Brussels EU headquarters, according to the BBC. The UK, unlike most of the other 27 European Union member countries, has kept its own currency and not adopted the Euro. Some commentators say that the Euro, which will soon celebrate its 10th birthday, is doomed with some states that use it, like Greece, needing their economies to be bailed out by the EU. A spokesmen for Cameron was quoted by the BBC saying: "As with any negotiation Europe we have to wait and see what is being proposed and see how we will respond. We will always look to further out national interest." However, Sarkozy is looking to centralise more power giving Brussels control over national budgets. He was quoted by Sky News saying: "France will push with Germany for a new European treaty refunding and rethinking the organisation of Europe." In a conflicting report, the Financial Times claims that Cameron will tell the French President that he "will not throw a spanner in the works" at the talks. The paper claims that the Tory leader does not want to damage City of London money markets but will also not try and use the crisis to take any power back from the EU. An unnamed Conservative MP was quoted by the FT saying: "The priority for the government has got to be to ensure that the eurozone survives - the rest is rather secondary right now." Crisis talks between Britain and France about the future of the troubled Euro currency were held in Paris on Friday, ahead of a make or break Eurozone summit next week. An unnamed senior Conservative MP was quoted by the FT saying: "The priority for the government has got to be to ensure that the eurozone survives - the rest is rather secondary right now." * John Stammers is a journalism and economics undergraduate at London's City University. 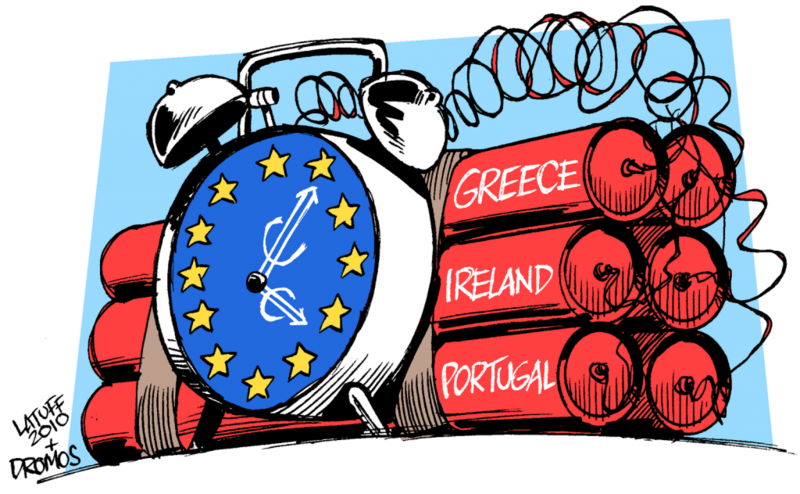 1 Response to "It's 'make or break time' for the Euro"